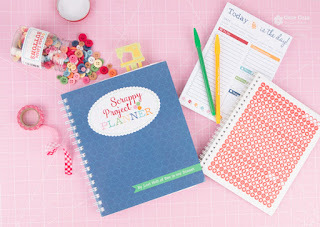 Welcome to the Scrappy Project Planner sew along Week 6! It's Fat Quarter Flirt Week. I'm sewing along with Lori Holt and The Fat Quarter Shop. Do you have a scrappy planner? Have you been following along with each week showcasing the projects from the planner? I have had my planner since October. I have started all 6 quilts - lol seriously. This week's quilt is the Fat Quarter Flirt. she showed us her version of the Fat Quarter Flirt in "busy backgrounds". I immediately wanted to make it. Unfortunately my busy backgrounds were in Minnesota. or just too busy in terms of the print itself? Those are busy backgrounds. Can you see with the prints that I have chosen how they are light? but I decided to mash them all together anyway for a surprise result. I meticulously cut my blocks. And these are the left over scraps from the fat quarters. They multiplied like bunnies in this project. Here's my token cat picture. Actually she rarely left my side while I made this quilt. I think it might end up being her favorite. It's a rather large quilt overall and I had a tough time getting the whole top in one picture. I love the busy background version and I can't wait to get it quilted ASAP. If you'd like to see other versions of the Fat Quarter Flirt check out the Jolly Jabber. I like the soft look of this quilt. Very pretty. This is beautiful and I just love the busy - yet soft background fabrics you chose. This has given me an idea for all of my low volume fabrics!! Your Cat knows best :)! !